Rembau MP Khairy Jamaluddin tweeted a couple of photos of a draft of the revised policy prepared by the ministry of international trade and industry (MITI). The document was made available for viewing to MPs in parliament yesterday. On one of the pages, mention is made of ‘flying vehicle’ as a segment in which standards will be established, the Malay Mail reports. “Seriously, YB @imokman?” Khairy tweeted to deputy international trade minister Ong Kian Ming, highlighting the particular mention and apparently bemused by the inclusion. Last month, entrepreneur development minister Datuk Seri Mohd Redzuan Yusof had announced that Malaysia is set to unveil its first flying car prototype sometime this year. 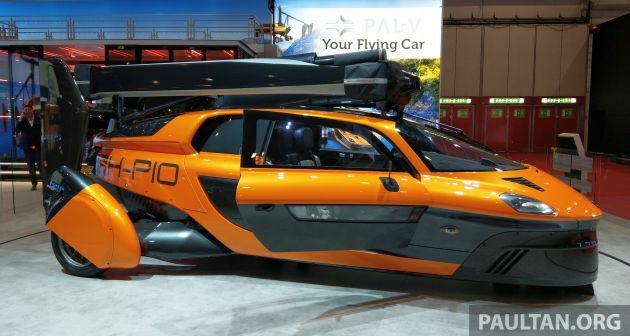 The vehicle, said to be capable of flying safely at low altitudes at a reasonable speed, will apparently not be for general use, but will find its way into applications in the agriculture and aerospace sector. Aside from a review of Energy Efficient Vehicle (EEV) specifications for passenger vehicles, the NAP revision also aims to define standards in six other areas of primary focus. 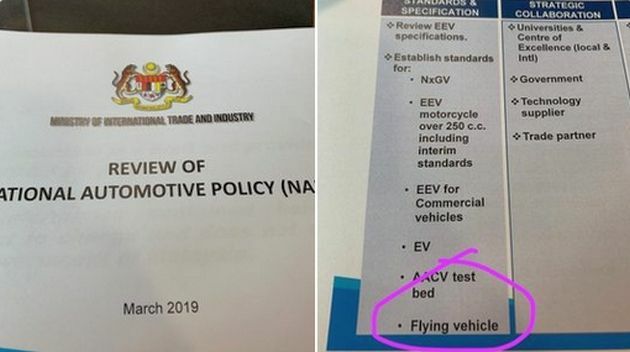 Besides that for flying cars, a regulatory framework will be established for EEV motorcyles over 250 cc – inclusive of interim standards – as well as for commercial vehicles. Standards will also be defined for electric vehicles and next-generation vehicles (NxGV), along with the establishment of an autonomous and connected vehicle testbed. The last is in line with that mentioned by the Malaysia Automotive Robotics and IoT Institute (MARii) back in January. The plan is to set up a test bed in Cyberjaya to trial various technologies relating to autonomous vehicles to assess its compatibility with the infrastructure and environment in Malaysia. The post Khairy bemused by flying car mention in NAP review appeared first on Paul Tan's Automotive News. 0 Response to "Khairy bemused by flying car mention in NAP review"